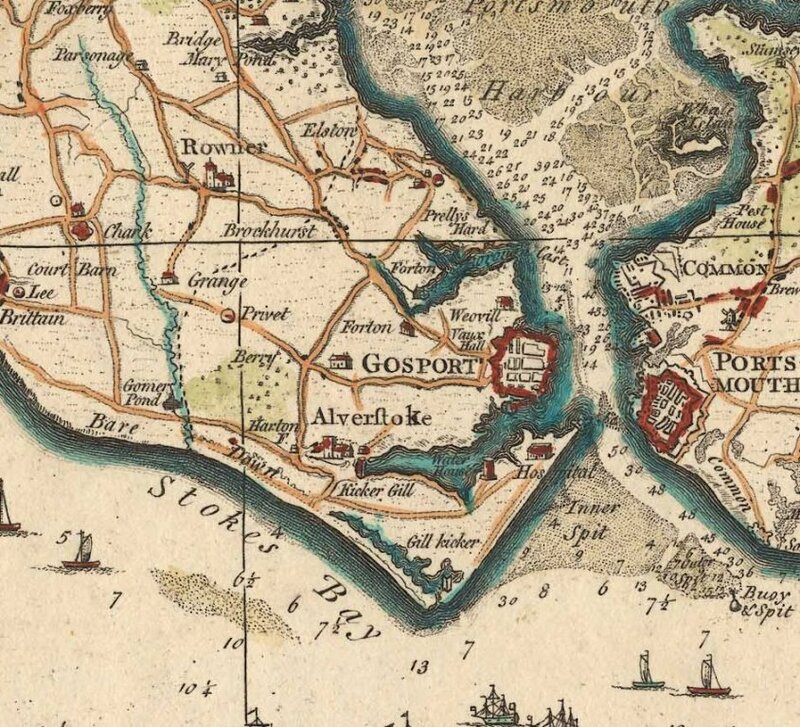 Early maps show a river running along the western border of Alverstoke village and exiting to the sea at Stokes Bay but few of these maps name the river as the ‘River Alver’. 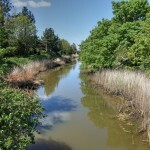 This river arises in a series of springs and surface water drainage ditches in the Chark Common and Foxbury area northwest of Stokes Bay. 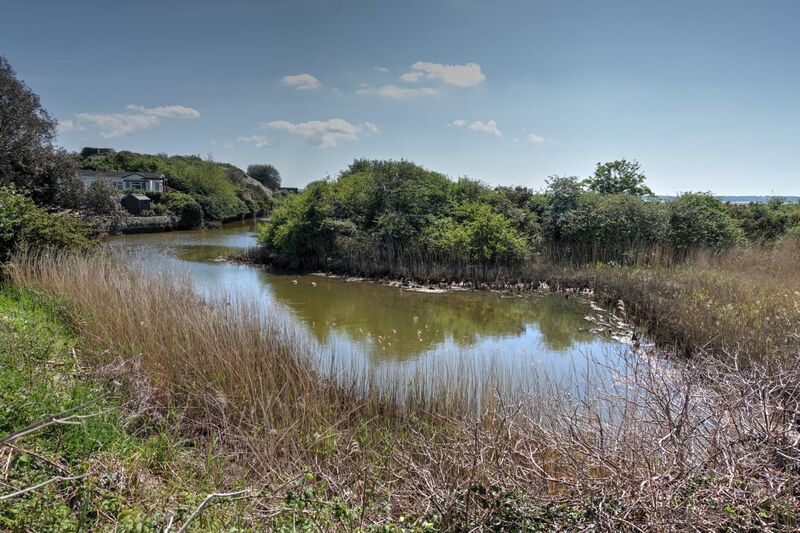 It flows southwards, gathering water until it reaches a concrete canal running alongside the western edge of No.2 Battery at Stokes Bay. Here it exits to the sea via a sluice that was originally installed by the Royal Engineers in 1847 and updated by them in 1860 and 1879. The original course of the River Alver ran across Browndown, through an area of low lying marshy ground called Gomer Ponds and then eastward along Stokes Bay behind the shingle bank of the Bay, finally exiting to the sea via a tidal marsh at Gilkicker Point, called the ‘Stoke Morass’ or ‘Stoke Marsh’. An early watercolour that shows the brook (River Alver) flowing east along the Bay. The ordnance brickworks are to the left and Old Bay House is shown on the beach to the right. 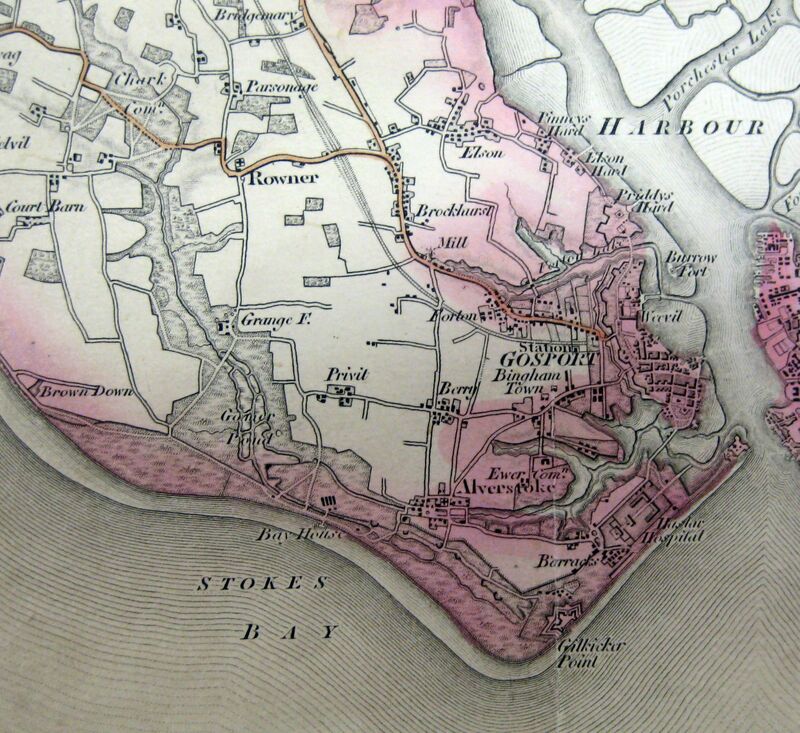 This is probably the only depiction of the river flowing along its original course. 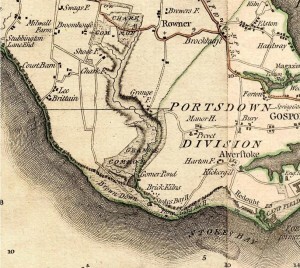 Various maps show the route of the river along the Bay without naming it. 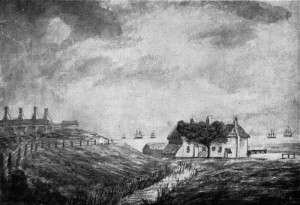 It flowed beneath a small cliff which gave rise to the names of the houses ‘Alverbank’ and ‘Alvercliff’. 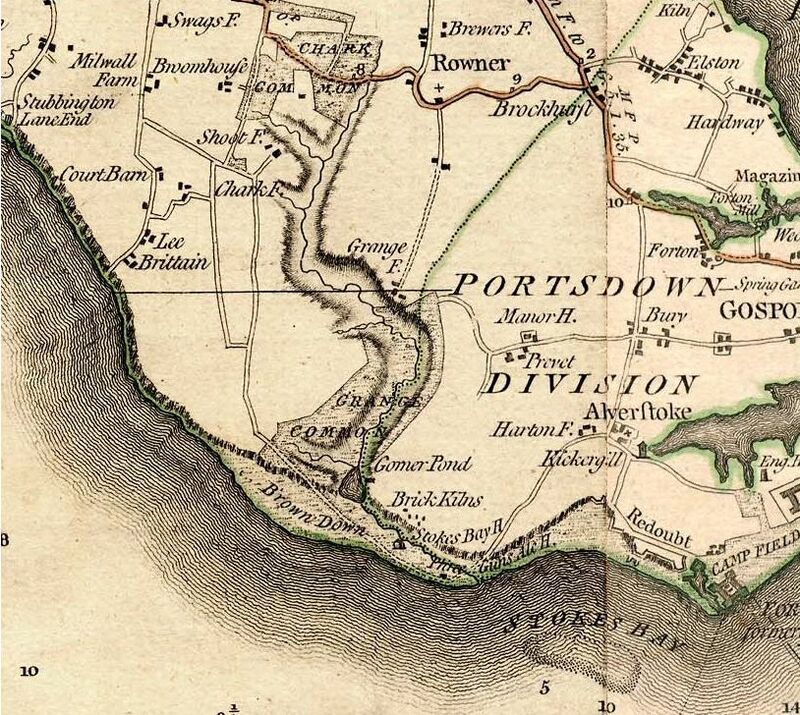 It is referred to in correspondence between the owners of Bay House, Alverbank and the Royal Engineers as a ‘brook’ or ‘the main ditch’ and was below the level of the sea, causing it to become stagnant during times of low water flow. 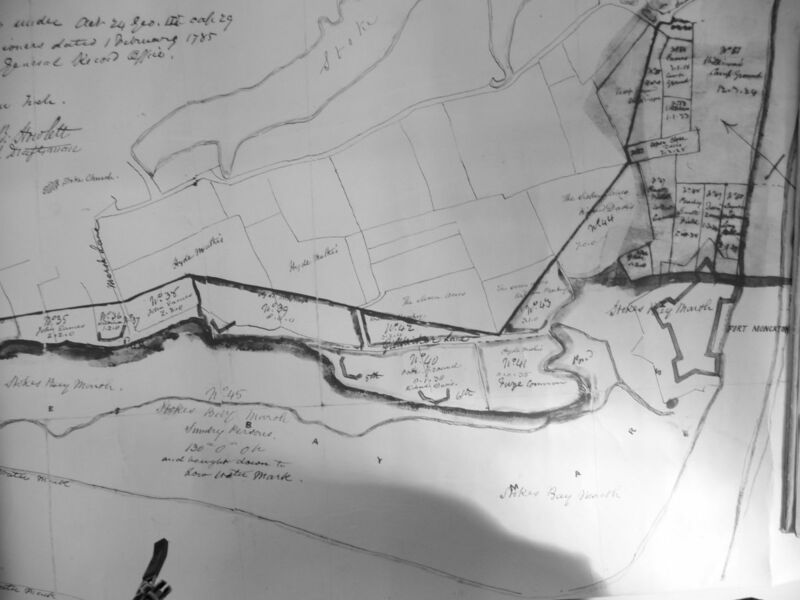 According to a letter between Lord Ashburton, John Croker and the Rev. 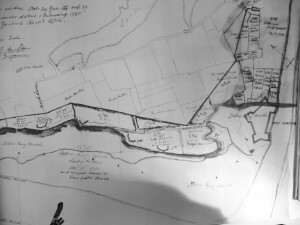 Byham, it was also filled with bricks, stones and building debris following the construction of Bay House. 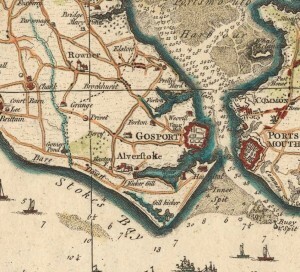 In 1860 the Royal Engineers constructed a defensive moat along the length of the Bay from No.1 and No.2 Battery in the west to Fort Gilkicker in the east. 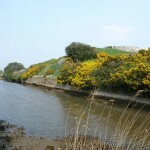 The river Alver was then used to keep the level of water in the moat constant. A series of penstocks along the Bay allowed the engineers to control the depth. 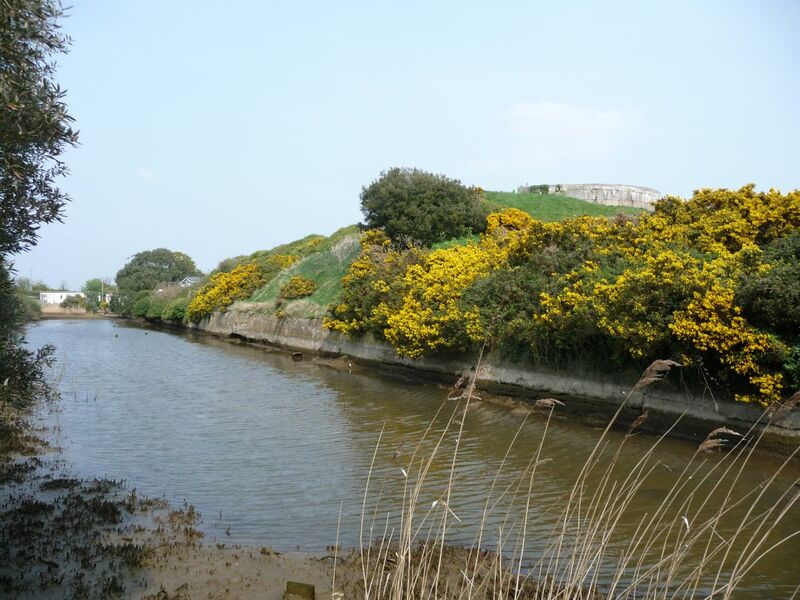 The River Alver was allowed to exit to the sea directly via a sluice at the corner of No.2 Battery. When this sluice was closed the river was diverted into the moat system and finally exited to the sea at the bottom corner of Gilkicker Lake. 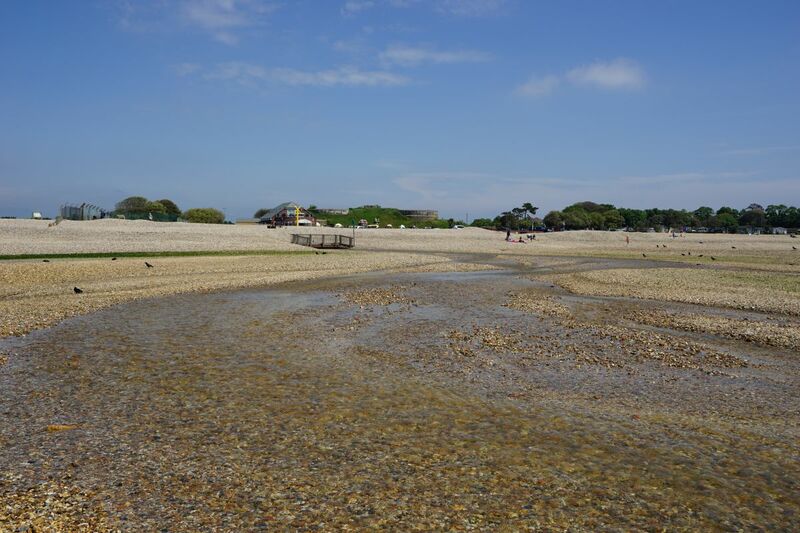 When the moat surrounding No.2 Battery was filled in 1952 the River Alver continued to flow into the Bay via its sluice, which is where it can be seen today flowing out across the beach at Low tides. 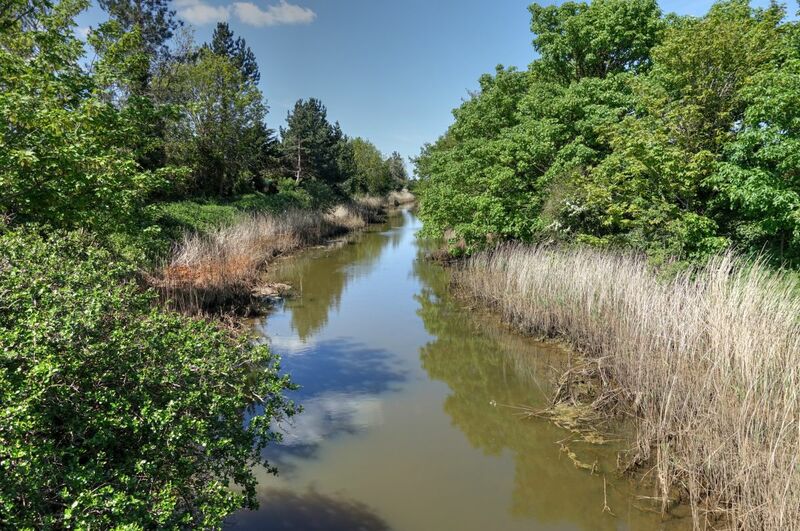 The section of concrete canal west of No.2 Battery is all that remains of the 1860 Stokes Bay Lines. 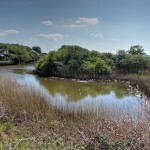 The drying up of the original course of the River Alver left behind a small pond, which was used by locals as a paddling pool. 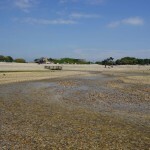 The River Alver flowing out from its tidal flap, across the beach at low tide.